Welcome to the website of the Department of Justice of the Hong Kong Special Administrative Region. The rule of law is a core value of our community. It is also the cornerstone of Hong Kong's success as a leading international financial centre. 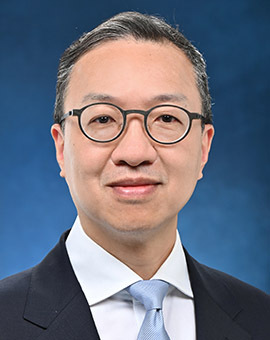 Under the principle of "One Country, Two Systems" which is enshrined in the Basic Law, Hong Kong enjoys independent judicial power including the power of final adjudication. It remains a common law jurisdiction within China. The Department of Justice plays a significant role in our legal system. The Department gives legal advice to other bureaux and departments of the Government, represents the Government in legal proceedings, drafts government bills, makes prosecution decisions, and promotes the rule of law. It is an important policy objective of the Department to enhance Hong Kong's status as a regional centre for legal services and dispute resolution. This website provides a wealth of information on our legal system and the work of the Department. You can also find here our latest news. We hope you will enjoy browsing our website and find the information useful. From 1 July 2018, Hong Kong e-Legislation (https://www.elegislation.gov.hk) is the only government legislation website. The Bilingual Laws Information System has been discontinued.